It is with heavy sorrow that we report that retired Concord Police Officer Mike Warnock has passed away at 60 years of age. He is survived by his mother, Mary, his wife of 33 years, Hope, his children Kelley, Kristen, and Mike, and grandchildren Clayton, Isabelle, Anthony, and Zooey of whom he was incredibly proud. Mike had a long and illustrious career in law enforcement beginning in 1978 when we started work with the City of Fremont jail. 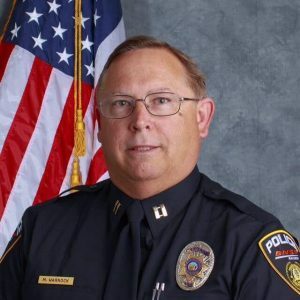 With a desire to serve his community further, Mike became a Reserve Police Officer at Pinole Police Department in 1984 and enrolled in the police academy, graduating in 1985. After graduating the academy, Mike accepted a job with the Kensington Police Department where he served for ten years. On January 17, 1995 Mike was sworn in as a Concord Police Officer. His strong desire to serve his community lead him to the position of School Resource Officer for Ygnacio Valley and Concord High Schools. Mike cared deeply about the students he worked with, where he provided mentorship and a positive impact on those he touched. Mike furthered his advocacy for young people when he transitioned to Detective with the Concord Youth Services Bureau where he served from 1999 to 2002. In 2002, Mike was promoted to Detective in the Crimes Against Persons Unit where he worked until 2006. He worked on several high profile cases that garnered media attention and was the subject of an episode of the documentary series Forensic Files. In 2006, Mike returned to patrol where he worked until his retirement from Concord Police Department in 2008. After retiring from Concord, Mike chose to continue his career in law enforcement. In 2008 Mike started work as a Police Officer with the largest freight railroad network in North America, BNSF. Mike quickly established a solid reputation with his new police force and was tasked with creating a Crime Response Team that saved his company millions in losses. In 2018, Mike was promoted to Deputy Chief and had earned deep respect from his team and supervisors. Mike and Hope were in the process of planning for retirement and building their dream home in Tennessee when his life was cut short by an unexpected illness. He was a devoted son, husband, father, papa, and friend and had profound respect for the people he worked with. Mike made a tremendous impact on all those he touched, and his presence in our lives will be greatly missed. Mike’s family has requested that donations be made to the Concord Police Association's Officer Emergency Fund (donation button on this page) or Northern California C.O.P.S. in lieu of flowers. 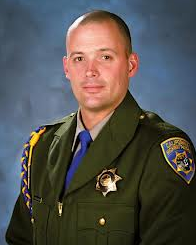 Officer Kenyon Youngstrom, ID 18063 died on September 5, 2012 after being shot on the side of Highway 680 in Walnut Creek, CA. while on duty. Officer Youngstrom is survived by his wife Karen, 2 daughters, 2 sons, his parents Gaylord and Jill Youngstrom, 4 brothers and a sister. A California Association of Highway Patrol care account is being established to assist the Youngstrom Family. Donations will be collected through October 31, 2012 at which point all contributions will be forwarded to the memorial fund established for the family. To contribute, please make checks out to "CAHP Cares" and on the memo line write, "Youngstrom Family". This will ensure the donation is appropriately directed to the memorial fund. Donations made also be made in person at any local Wells Fargo Branch to the family's trust fund established by the bank.